If you’re looking for refined details, bold exterior styling, and an exceptional driving experience, check out our inventory of the the new Jeep Cherokee for sale near Parma, Strongsville, and Elyria today. With a suite of advanced safety and tech features combined with a modern take on Jeep’s classic design, the Cherokee is a perfect fit whether you’re taking off on a rugged road trip or cruising through the city. Browse our available inventory of the new Jeep Cherokee in Cleveland and contact us to set up a test drive. With a standard 2.4L I4 MultiAir engine, 9-speed automatic transmission, and Trailer Sway Control, the Cherokee gives you top-notch performance without sacrificing comfort. The Jeep Cherokee’s interior has been carefully crafted with premium materials to give off a high-end look, and the available fold-flat front passenger seat makes for a flexible cabin that can adjust to your active lifestyle. And with the Cherokee, you’ll stay safe and connected during every mile of your drive. Updated safety features include blind spot warning, lane departure warning, and rear cross-traffic alert systems. Not to mention, the Jeep Cherokee at Spitzer Chrysler Dodge Jeep Ram in Cleveland comes with Jeep’s available Uconnect 8.4-inch touchscreen multimedia system, allowing you to easily integrate your mobile devices for music, navigation, and more. 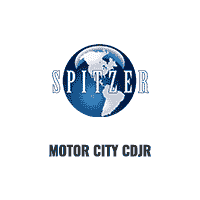 Spitzer is a leading Jeep Cherokee dealer in Cleveland, Parma, and all of the surrounding areas. Be sure to check out our current specials and lease deals, and stop by our Jeep dealership you’re ready for a test drive. New vehicle pricing includes all offers and incentives. Tax, Title and Tags not included in vehicle prices shown and must be paid by the purchaser. While great effort is made to ensure the accuracy of the information on this site, errors do occur so please verify information with a customer service rep. This is easily done by calling us at 216-356-5749 or by visiting us at the dealership.